Opossums can be clever, cautious, and sometimes surprising. Here are some more words related to these complex critters: surprising, strategic, diverting, recovering, talented, and earth energy. So what does it mean if you experience an opossum sighting? In Native American cultures, the word “medicine” often means the same thing we think it means: a remedy, a cure, anything used for healing. But it can also refer to the magic of animal totems. People can emulate them and use them in helpful, and sometimes even life-saving, ways. If you’ve ever experienced an opossum sighting, you’ve likely witnessed its amazing ability to “play dead” when faced with a situation it can’t escape by attacking or running away. One website explains that the message the opossum may be bringing you is two-fold: to expect the unexpected, and to be clever in achieving your victory. The little critters are telling us to use our brains, a good dose of drama, and the element of surprise to help us achieve the progress we desire. Because in truth, opossums aren’t actually playing dead when they face danger. There is, in fact, an internal mechanism embedded in opossums’ nervous systems that just shuts them down for a while! Opossums have fairly short lifespans. Therefore, if opossums are your totem animals, it’s simply a reflection of your young spirit and your ability to see the world through your childlike eyes no matter how old you are. Opossums are also the totem animals of young people and children. If your totem animal is the opossum, then it’s likely that you blend in well in crowds, and you are able to get along with a wide variety of people. But nobody will mistake your kind heart for foolishness. You take your time getting to know people before you’re comfortable letting your guard down. If the opossum is your spirit animal, then it’s likely that the circumstances surrounding you are in a state of flux. My advice to you almost like what we hear when we’re learning to cross the street by ourselves, “stop, look, and listen,” So you need to get a feel for the situation, assess it thoroughly, and carefully plan your course to move forward. That’s just one message of an opossum sighting. But remember, opossums can fluctuate between playing dead and scurrying away. This means that depending on your situation, an opossum sighting can be either a reminder to proceed with caution, or encouragement to move full-steam forward. So if you’re involved in something that just feels right, and you feel ready to announce it to the world, then share it proudly and loudly. If you experience an opossum sighting in one of your dreams, it could be a warning that you’re facing vulnerability in a situation that you’re involved in. There’s definitely something there that you’re not seeing, and you need to slow down and figure out what it is. Once you’re fully informed and gain clarity, you can make the choice of whether you should move forward or back away. Opossums are nocturnal animals. They prefer living in dark places so they can sleep during daylight hours. Burrows in trees, piles of leaves, and dark and earthy places seem to suit them best. This binds them to the spiritual and magical tree energy and earth energy that opossum medicine can make use of. 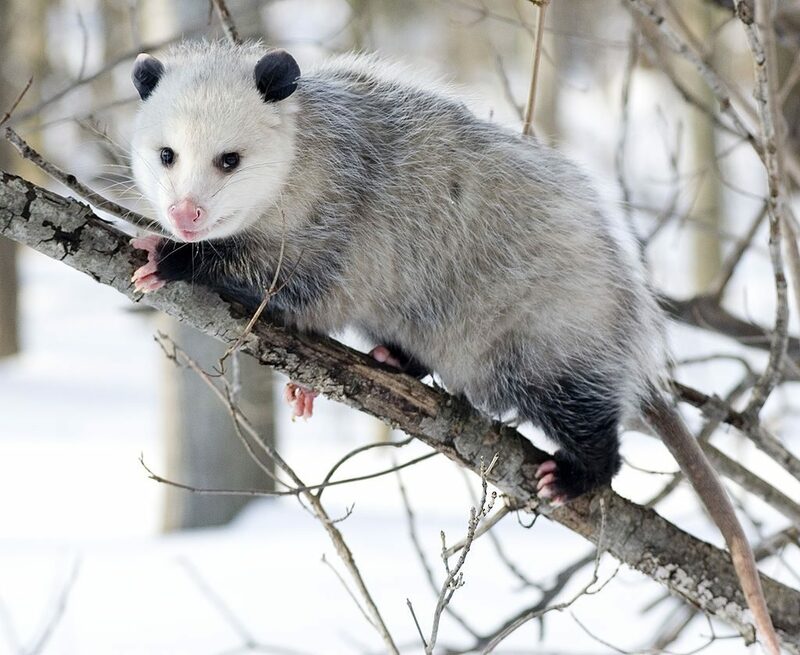 One final note about opossums: Most Americans say “possum” because “opossum” sounds weird. But opossums and possums are actually two different animals! In the United States, the animals are opossums. But in Australia, there are a few different types of possums. Both animals are marsupials, but that’s their only commonality. They’re completely different animals with different demeanors and different traits. One thing that possums and opossums have in common is they are both very territorial. So once one of these animals finds its personal place in your backyard, it’s not too keen about sharing the space with other animals. Of course, mating season is always the exception to this rule!